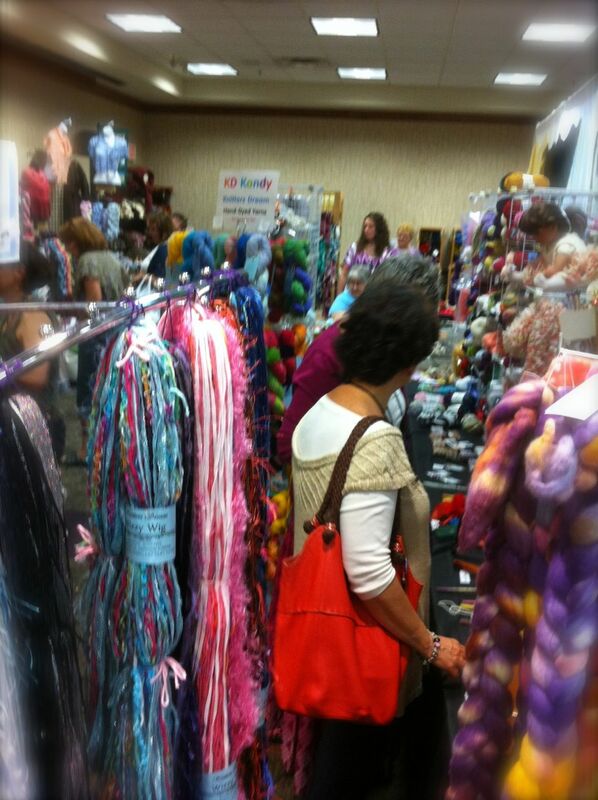 Knitters Day Out (KDO) offers classes for knitters at all points on the experience spectrum. 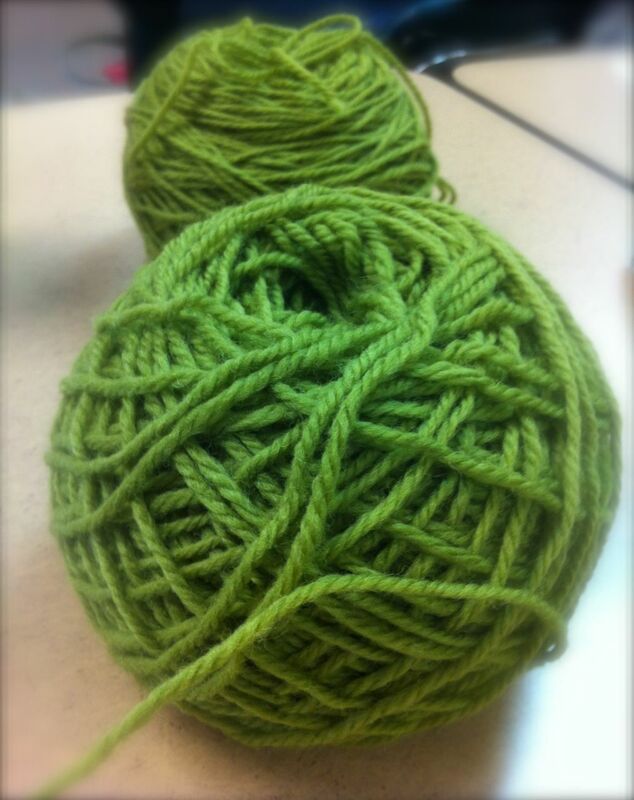 All you need to be able to do for a beginner class is cast on, knit, purl and cast off. 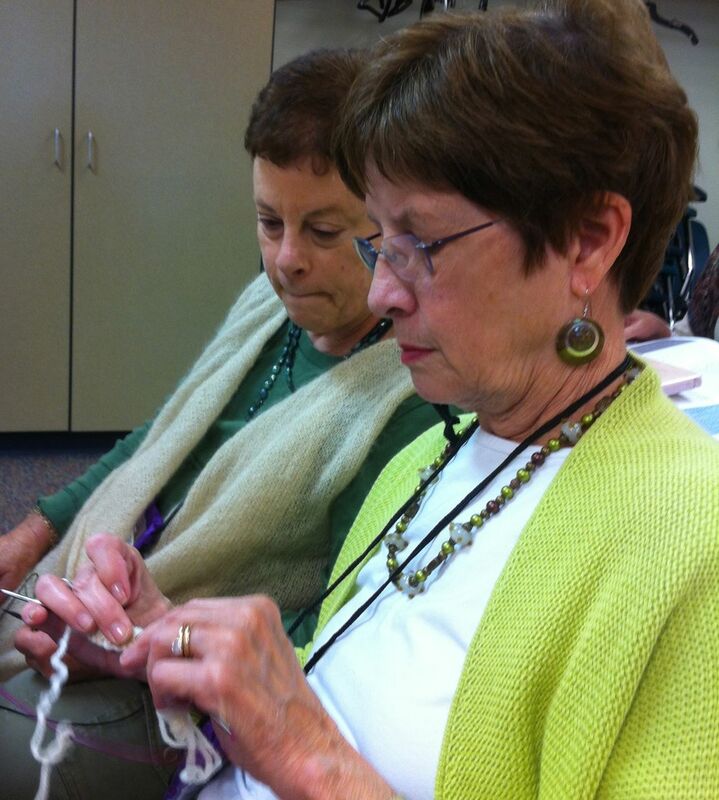 Our Saturday morning class was Aran Knitting with Kathy Zimmerman. Kathy took us through the interesting history of Aran Knitting, the style of Irish fisherman’s sweaters that originated from the small islands off the west coast of Ireland (Inishmore, Inishmaan and Inisheer). 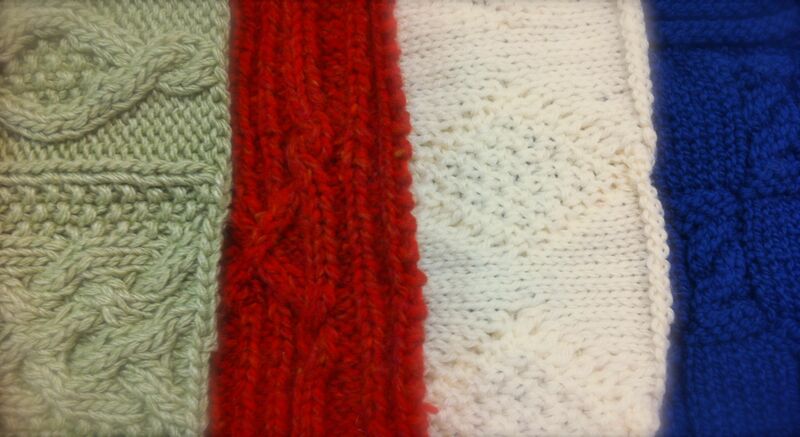 Aran sweaters tell a story by the type of stitches and cables the knitters chose to use. A Grandmother might choose a honeycomb pattern for a child’s sweater to wish him or her a sweet life. Or she might add an “OXO” pattern to indicate hugs and kisses. Some of the dozens of samples that Kathy Zimmerman brought to class to explain Aran Knitting. The craft of knitting was handed down generation to generation by oral tradition by family members. A parent (both men and women knitted), grandparent, aunt or uncle, would show the next generation how to weld their needles to concur a particular pattern. “The original stitch patterns could often be linked to a family , village or region. ” [Ibid] But the idea that the sweaters were knitted in particular patterns as a means of identification — so that a fisherman lost at sea could have his remains identified by his sweater — was more folk tale than reality. And it was a folk-lore that the nascent Irish sweater industry of the 1900s was happy to incorporate into its publicity efforts when selling the sweaters to tourist. Cables are made by placing stitches onto a spare needle, placing the needle to the back, knitting a stitch or two then going back to the stitches on the spare need and knitting them. By doing this you create a twist in the fabric. The next row (the back row) is the recovery row, no cabling is done on this row, you just knit the knit stitches and purl the purl stitches. But on the following row you are “working” again and the pattern will have moved a bit so the cable stitch is slightly to the right or maybe you’ll bring the needle to the front this time so the cable will go the other way… In the end what could have been a flat garment is instead a 3-D image of diamonds and ropes. My bestest knitting buddy Sheila (front) picks up a cabling technique in our Aran class. One of the really cool things about KDO is that the participants are always willing to help out each other and you are always picking up some trick or the other. 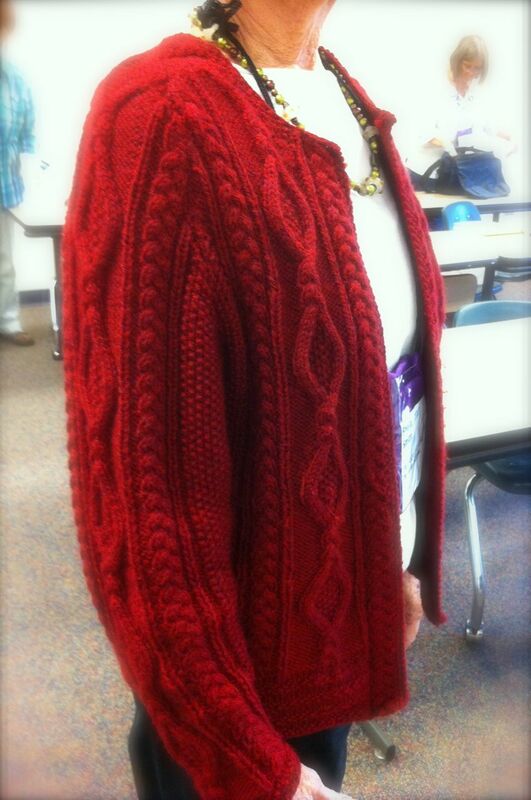 The amazing Kathy Zimmerman taught our Aran Knitting class on Saturday morning. She was informative, patient and generous with her knowledge and her chocolate. THANKS Kathy! Green wool always calls to me. I’ve made an afghan in shades of the stuff and I still love it. Maybe it is the Irish in me. And since I choose this wool for my Aran class I was feeling doubly blessed by the Emerald Isles. 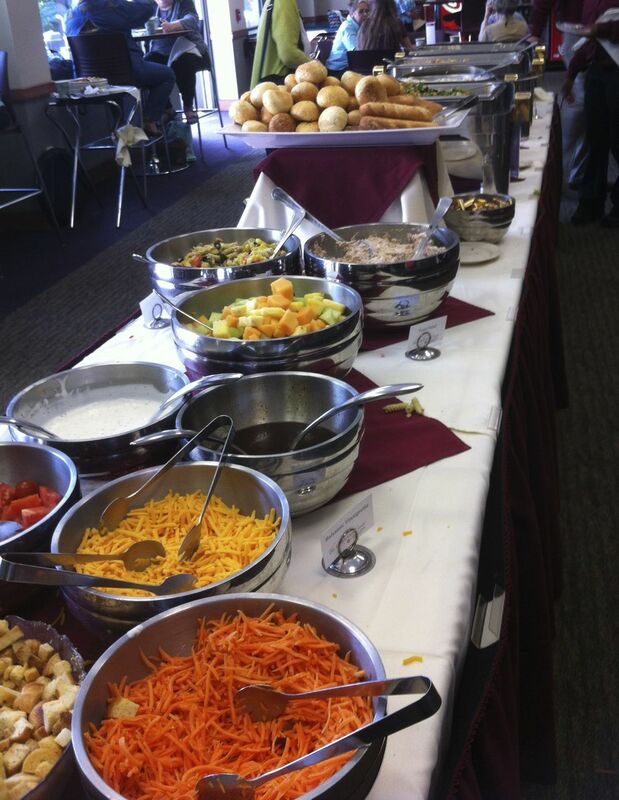 Lunch at KDO is always a gourmet affair and is included in the price of the weekend. 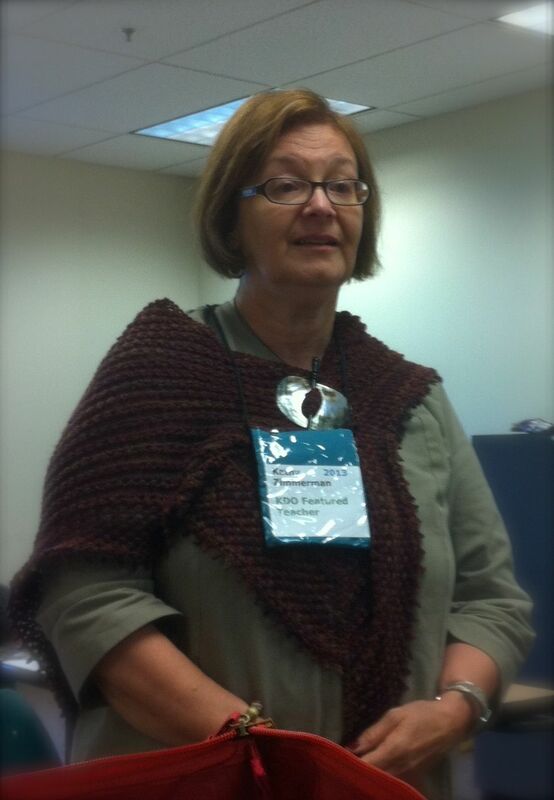 Note: The background of the KDO banner is from another of Kathy Zimmerman’s Aran samplers. Wish I could say I knit it, but, um nope, its all hers. This entry was posted on Sunday, September 8th, 2013 at 8:28 pm	and tagged with Knitters Day Out, Knitting and posted in Kathy Zimmerman, Knitter's Day Out, Knitting, postaday, Thought of the Day. You can follow any responses to this entry through the RSS 2.0 feed.